The Porsche 911 celebrates its 50th birthday in 2013, and to celebrate, it takes centre stage at the 20th Goodwood Festival of Speed, which takes place on 11-14 July. Porsche is describing its line-up of 911 race and road cars to star at the Festival as stunning, and they will surround a bespoke 911-inspired sculpture that will be displayed, as has become the tradition, prominently outside Goodwood House. 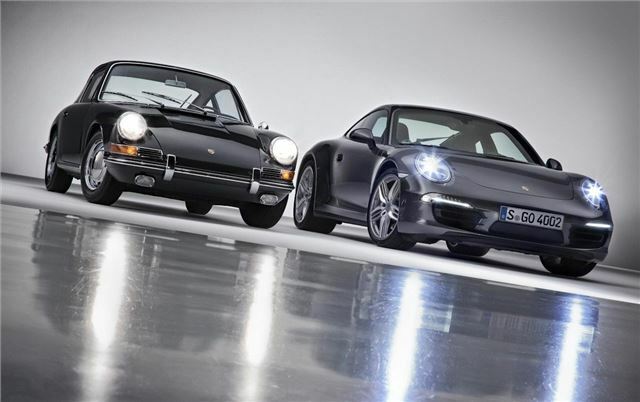 With support from the Porsche Museum in Stuttgart, private collectors and enthusiasts, a number of significant editions of the 911 are set to be in action at the Festival. Further examples of significant Porsche competition cars including the 356, 908, 917 and 962 are also expected to star in an event, which promises to be unmissable for Porsche enthusiasts. Porsche is also sending a 1967 model 911 to Goodwood as part of a world tour. Over the course of the year, this classic car will travel to five continents. In addition to the UK, it will visit Pebble Beach, California, China, France, and Australia. The touring 911 is described as 'an ambassador for the Porsche brand', and its progress can be followed throughout the year on Porsche's own web page.